Did you know that email marketing THE backbone of all business marketing? If you are still thinking that your business is too small to need email marketing, then we need to get you to think again. Email allows you to continuously cater to the changing needs of your audience, not to mention email is super personal. Think about it, you only give your email address to businesses that you would consider buying from, right? Right! So let’s jump in and see what type of email marketing trends in 2017 will best benefit your business this year. Even if you have always thought “Email marketing is too hard” we promise to show you just how easy and important it is for your business. Let’s be honest, we all prefer people who keep it real. 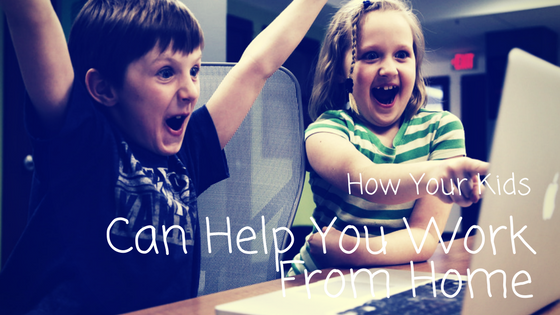 When you reach your pre-qualified customer via email, simply use a conversational tone. Each email can be effortlessly personalized when you write like you talk. 95% of your email subscribers will come from social media, you know what they already like and dislike so ask questions that encourage your customers to respond. A casual, personalized tone helps your customers relate to you, you want them to feel like they are getting an email from a friend. By extension to your brand, they will feel like they are buying useful products from a friend too! With so many low cost and FREE options for starting your email marketing campaign, there is no reason why you shouldn’t be utilizing email marketing in your business. Unlocking email marketing in your business allows you to track where your pre-qualified customers came from. After all, they opted in to your email list meaning they are at least interested in purchasing. When a pre-qualified customer opts in to your email list from social media, your email marketing provider (we like MailChimp) automatically sends them a Welcome Email and keeps their contact information in your secure list. Now all you should do is send them a weekly email filled with your valuable products. Everyone who is on your list will automatically get the same email. Really, why aren’t you using this yet? Want to join our LIVE Webinar where we teach you exactly how to set up a MailChimp account and get started immediately? Great! A common excuse we hear from clients who are reluctant to implement email marketing in their business, is that they “don’t know what to say”. There is good news… Your customer’s smart phone is now the most widely used device to access their email. According to research, your customers prefer a mere 50-125 words per email to influence their buying! Less space and smaller attention spans means that you do not have to worry about what to say in a lengthy email. Your customers want short, sweet, and to the point. You can do that, right? Right! Send your customers content that they can immediately buy. Customer purchases straight from social media sites doesn’t happen as often as it used to. Years ago, shady marketers caused social media sites like Facebook, into overdrive trying to protect it’s users from spam and unwanted sales pitches. However, when a customer chooses to receive emails from you, they know at some point they will be given the option to buy, so it’s a no brainer you should be sending emails! Sending useful content to your email list with the option to click a link and go straight to the checkout page is the future of your business. Why on earth would you choose NOT to sell from your customer’s inboxes? Your Business is Ready to Go to the Next Level. Will You Take It There? You can start today reinventing your business (and your success!) by acknowledging your customers are a 1. a Person + have a Profile (what they like) + Purpose (the problem they need your products to solve) = greater Performance for your business! As we continue to move through 2017 and beyond, email marketing is no longer going to be ‘an option’. It will simply be a staple of all business, small and large alike. More business owner, marketers – and not just for the mega companies – will be able to use email to influence repeat purchases, renewal rates, product launch success, team growth and more. Now, we know that there will still be some doubters. We can show you, using proven strategies, and walking you through step by step, exactly how we get new pre-qualified subscribers every single day. Join the FREE workshop this week. This is going to be easier than you think!